Jacqueline Fernandez’s 'Blast From The Past’ Outfit Is Giving Us Airport Look Goals! Keeping it simple and slightly daring, Jacqueline Fernandez recent airport outing is giving us major 70s feels, and we’re living for it! 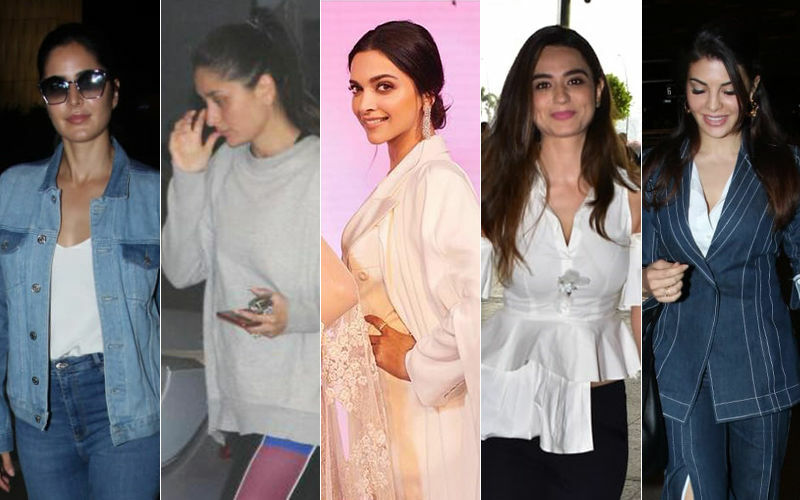 Airport fashion has become a rage in the past year, and while our Bollywood beauties deck themselves in some over the top fashion that makes us feel bad about our personal airport looks! Breaking the mould is Jacqueline Fernandez, and we’ve been tracking this babe for a while now, for airport look inspiration of course! Her airport style works on the lines of comfortably practical, from simple leggings and a t-shirt to her favourite combination of jeans, t-shirt and that envious collection of jackets! While we are obsessed with her fashion, on her recent trip to the airport to whisk away to London, the beauty was spotted in our new favourite outfit for the season! The black crop top, black military-esque boots and the cropped, mid rise jeans seems like an outfit we definitely want in our wardrobe. 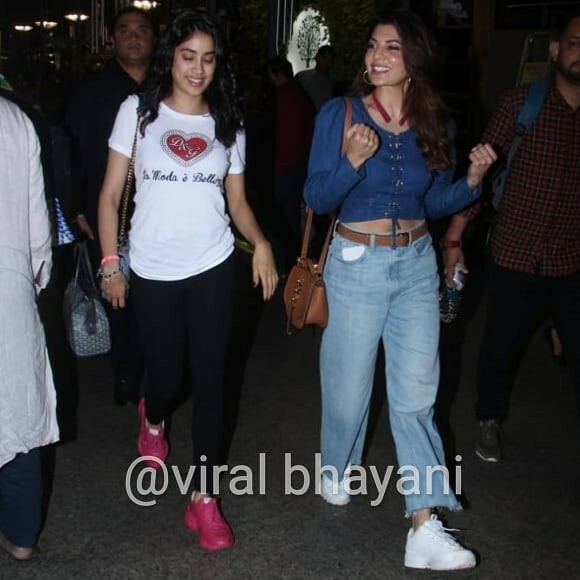 Jacqueline isn’t one to shy away from repeating her outfits, defying Bollywood fashion norms she wore the mid rise cropped jeans at the airport while returning back from Oman, celebrating the Filmfare Middle East anniversary fellow fashionista Janhvi Kapoor. She substituted the black crop for a denim one giving a girlier take on the denim on denim trend, and adding to the comfortable vibe was her white sneaker and the brown belt that made its comeback for her airport look from last night. Are flared denims and crop tops the trend for this summer? We’re definitely getting on that train, what about you? Buzz: Roop Actress Donal Bisht And Prateek Shah's Affair Over. Actor Dating Reyhna Malhotra Now? 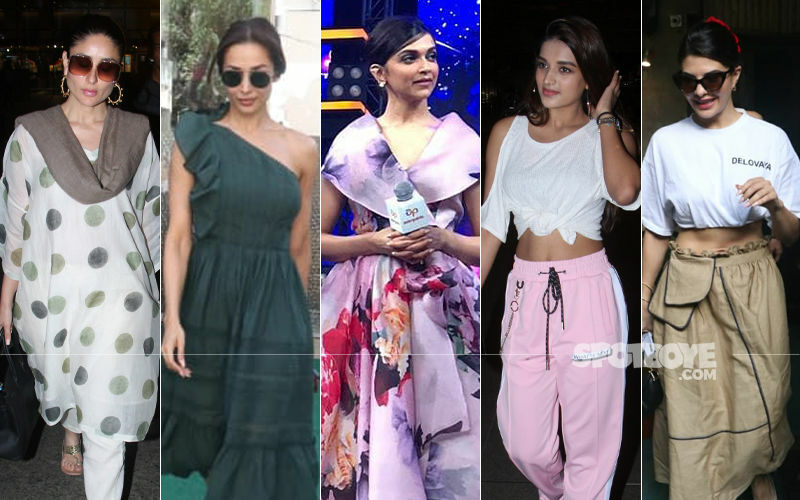 BEST DRESSED & WORST DRESSED At GQ Style And Culture Awards 2019: Anushka Sharma, Jacqueline Fernandez, Taapsee Pannu, Sanya Malhotra Or Radhika Apte? STUNNER OR BUMMER: Katrina Kaif, Deepika Padukone, Kareena Kapoor Khan, Soundarya Sharma Or Jacqueline Fernandez?